The Met throws a Warhol costume party. Fernando Botero takes up space at Marlborough Gallery. Jeff Koons talks Pablo Picasso at the Guggenheim. The Chelsea Art District hosts a festival of sound. 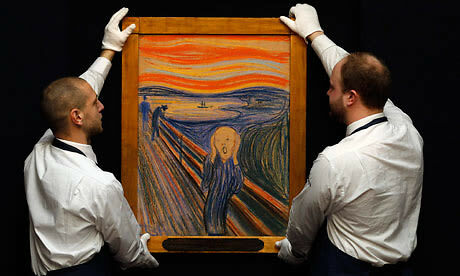 "The Scream" comes to MoMA. And Anne Hathaway sings for her supper. Listen up: art demands to be heard on this week's round up.